June 8, 2017  The alt-country godfather embraces his outlaw country roots. August 2, 2016  The two songwriters finish each other's phrases as they discuss the co-writing process for their new album as a duo. 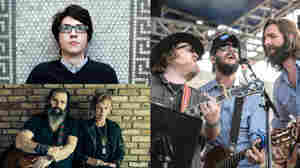 Hear the conversation and watch a live performance. June 2, 2016  Side by side, with good humor and the wisdom of experience, two veteran songwriters dwell on what it means to be creatures of habit, all while learning to live with deficiencies and disappointments. May 14, 2009  Van Zandt's songs of loners, lovers and misfits made a deep impression on Earle, so much so that he's made a new album of covers. Earle tells Melissa Block about Townes, a tribute to his friend and musical mentor. October 12, 2007  Hear Earle, one of the most outspoken and compelling figures in contemporary music, perform a concert from WXPN and World Café Live in Philadelphia. His new album draws on themes of war, pollution and immigration, while maintaining a sense of optimism. 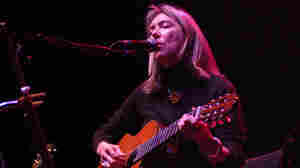 January 19, 2010  Kate McGarrigle, who died Monday, performs a 2004 concert as a tribute to Emmylou Harris, with help from her sister Anna McGarrigle and her son Rufus Wainwright. 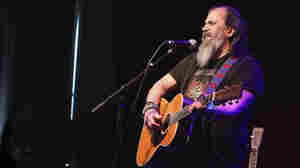 Also on the bill: Patty Griffin, husband-and-wife songwriters Buddy and Julie Miller and guitarist Steve Earle. October 1, 2002  Singer-songwriter Steve Earle has a long history of folk music, country music — and controversy. His latest album, Jerusalem, is creating buzz for its political messages. Meredith Ochs has our review. 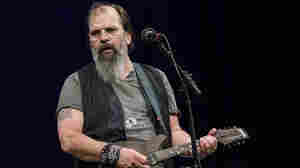 June 26, 2001  Singer-songwriter Steve Earle has released ten critically acclaimed albums; his latest CD is called Transcendental Blues. He's just published his first book, a collection of short stories called Doghouse Roses. Earle is also politically active. He currently serves as a board member of the Journey of Hope and is affiliated with both the Citizens United for Alternatives to the Death Penalty and the Abolitionist Action Committee. 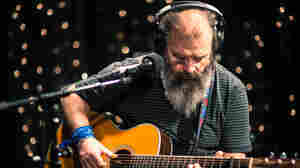 June 29, 1999  Nick Spitzer reviews the latest CD by Steve Earle, a 25 year veteran of the Nashville country music scene. Earle got into drugs for a while, but says he's done with all that now. 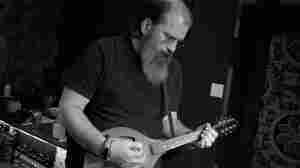 He's teamed up with one of this country's best bluegrass bands for a rollicking collaboration of country, rock and bluegrass called The Mountain. July 4, 2011  The rough-hewn country singer is back with a new album and a book. 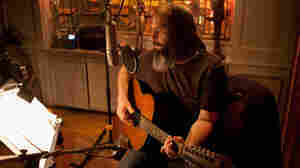 Listen to Earle play live in the WXPN studio and chat with World Cafe host David Dye. 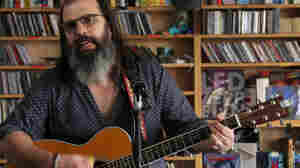 March 15, 2007  Defining himself as neither a country nor a roots rocker, Steve Earle's stubbornness paid off with a cult following that recognized his creative synthesis of genres. Earle's outspoken disposition results in albums with a compelling storytelling sensibility. Produced by KUT. April 17, 2011  The latest album from the iconoclastic country singer, I'll Never Get Out of This World Alive takes its name from Hank Williams' final song. 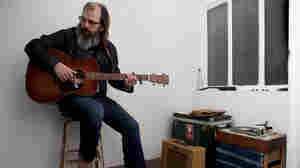 Hear Steve Earle's excellent new record in its entirety. April 25, 2011  Earle has lived through the sort of horrors that have launched a million country songs: addiction, affliction, heartbreak, even prison. He wears them in his voice, but what's most appealing about him is the wide-eyed, unmistakable fearlessness with which he goes about his life these days.